“I’m for truth, no matter who tells it. I’m for justice, no matter who it is for or against. 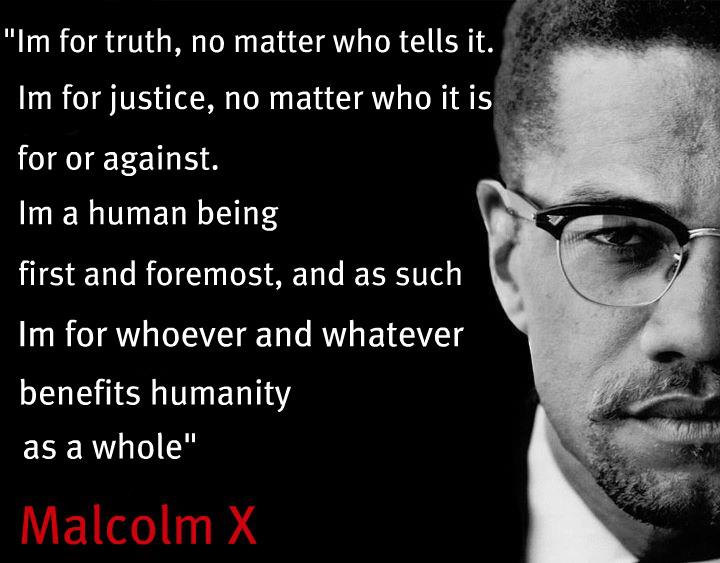 I’m a human being first and foremost, and as such I’m for whoever and whatever benefits humanity as a whole.” ~ Malcolm X | Gurly's collection of quotes, notes & video's made by great people who have been sharing their enlightenment through their words and actions. This entry was posted in Life, Quotes and tagged I AM, Quote, Quotes, Truth by Gurly Hafsmoe. Bookmark the permalink.